8&9 Clothing is one of the fastest growing streetwear brands. The company launched with profits from the owner's sneaker collection. 2012 expansion, including a Miami based flagship store and broader international distribution will be funded by profits from a Nike and Jordan collection the owners amassed over 3 decades. Miami based 8&9 Clothing Company emerged as one of the East Coast's most recognized streetwear brands. 8&9 has a cult following amongst sneakerheads, most of whom don't know a huge portion of the brands startup capital came from the owners' investment in the sneaker market it. Owner Ray Guilbault and co-founder Raymond Figueroa recognized an opportunity in sneaker resale during the late 90's. Avid sneaker collectors, they used status as FootAction gold card holders and Nike Town's 800# giving them access to stock at any US Nike Town store to amass a collection they sold, leveraged to purchase others and sold again many times over. Ray Guilbault, estimates more than 6 figures worth of sneakers bought and resold at a rate that returned an average 100% profit nearly every year. 8&9's latest expansion includes a Miami flagship store and more stock allocated for international distributors. Sticking to the playbook they launched with, 8&9 owners will fund this expansion with a quick influx of cash from more than 500 sneakers they've invested in. The brand which is already profitable uses the added capital to remain independent and ensure they don't rely on outside investors. "Sneakers are a better investment than most markets offer. Like anything, you have to know what to buy and when to sell. Investments can't be clouded by emotion or nostalgia over a certain pair. If you buy what you want to wear you run a high risk of loss. Buy what the market demands but won't be able to get enough of" that's where Ray Guilbault attributes their success. Also noting many sneaker investors chase hype that doesn't always result in a long term profit. In that case he recommends buying at retail and sell as soon as the market reaches an acceptable peak using care to stay ahead of the downturn. Some sneakers run returns up to 1000% percent. It's widely common to see sneakers doubling in price within 24 hours of their release. 2012, will see Nike releases do the same with sneakers like the Galaxy Foamposites which shot up 1000% in 24 hours and the Air Yeezy 2 which is Kanye West's signature Nike. The last Yeezy's released at just over $200 but are almost impossible to find for less than $1000. Ray says they both have personal pairs but don't expect to see any 8&9 owners selling their Yeezy's anytime soon. 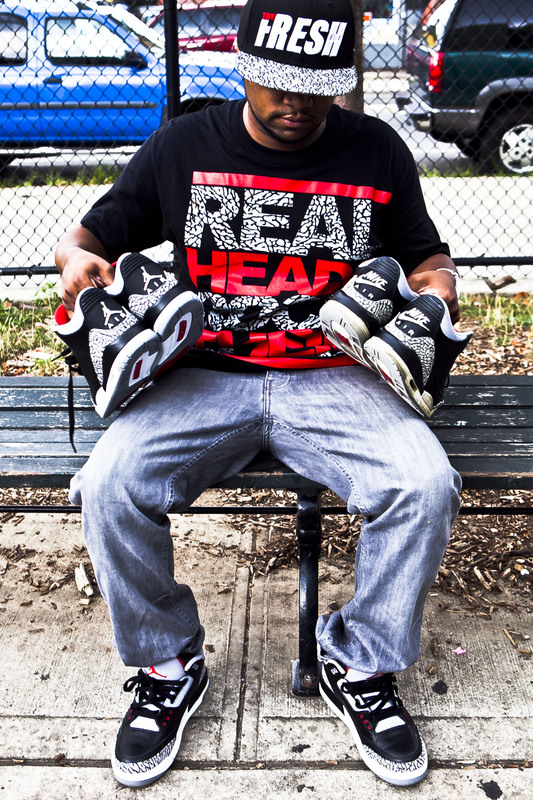 For these two entrepreneurs sneaker collecting isn't always about the money.